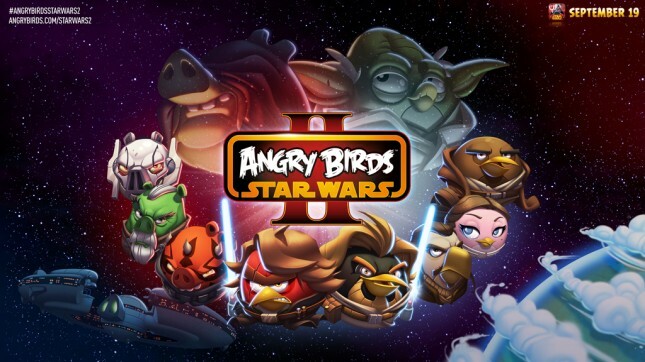 As expected, Angry Birds Star Wars 2 is now available through the Play Store! Rovio’s latest title takes us back to the Star Wars universe, this time focusing on the events and characters from Star Wars Episodes I, II and III. While the overall gameplay mechanics are largely the same as Angry Birds Star Wars (and just about any Angry Birds game) – the biggest change is that you can now join the ‘Pork Side’. This means that for the first time outside of Bad Piggies, you can play as a pig and go after the Angry Birds instead. Another major difference between the original game is the introduction of TELEPOD figurines that can be ‘uploaded’ into Angry Birds Star Wars 2, instantly giving you access to several unique bird and pig characters based on the Star Wars prequel movies. Are TELEPODs the only way to unlock the 30+ playable characters in AB Star Wars II? No, there will be other ways to discover many of the characters, and there will also be in-app purchases that can further unlock some of this content. Still, the figurines are probably the quickest way to gain access to your favorite characters, and apparently this is the only way to gain “unlimited use” of some of the special characters. If you consider yourself a Star Wars and/or Angry Birds fan, you’re going to want to pick this one up. While it might not be as exciting or even addicting as the first AB Star Wars game, it’s still a reasonably fun ride and at $.99 for the ad-free version, the asking price isn’t too bad either. For those looking to get in on the action for free, there is also an ad-supported version that won’t cost you a dime.